I hope you all had a wonderful Christmas. We spent ours in Sydney. Unfortunately, while the rest of Australia basked under sunny skies, Sydney was overcast and rainy. Not the typical Australian Christmas that I was hoping for. In the small town of Tarrington, a few hours’ drive west of Melbourne, hay has become an art form. Tarrington is located in a beautiful region that I visited a few years ago on my way to Ballarat. Farming and wine are mainstays of the region, and tourism has never been big. However, Tarrington is quickly becoming a sort of art destination, especially during the Christmas season when the locals use bales of hay to create quirky Christmas decorations, which are placed outside their homes and farms. Each year the hay bales become more elaborate, and each year more people visit. 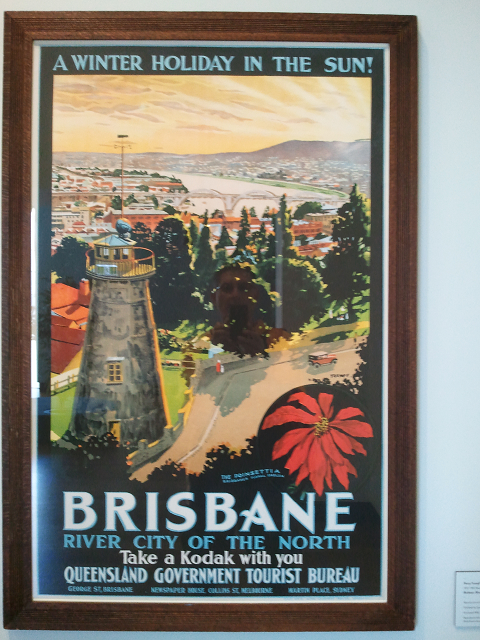 Brisbane has a reputation for being cultureless, but nothing could be further from the truth. Brisbane has a lively arts scene, wonderful neighborhoods, great cafes, fabulous restaurants, and one of the best museums in Australia, the Gallery of Modern Art (GOMA). Every time I visit the GOMA, there’s something new and exciting. This time I was completely blown away by Rivane Neuenschwander’s Contingent. Contingent is a ten minute video that presents a map of the world rendered in honey and consumed by a swarm of ants. As the honey ‘continents’ gradually erode and landmasses become fragmented islands, Neuenschwander’s cartography is shown to be mutable and transient. Neuenschwander is telling us that the health of the world is contingent on the rate of consumption, played out in the video by the ever-decreasing number of ants able to access a diminishing supply of food. Kathy Temin’s My Monument: White Forest is also interesting. 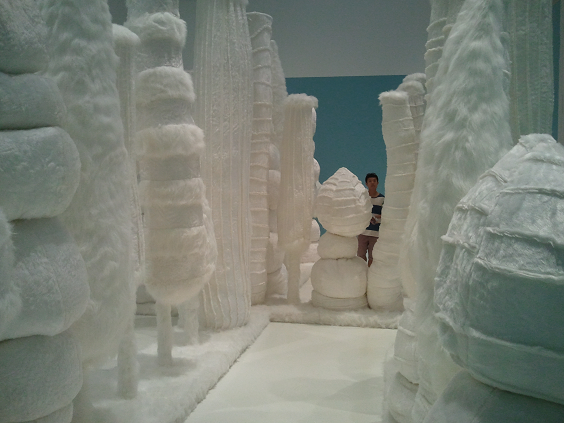 It invites visitors into a fantasy realm of white fur trees. As I wandered through the white forest maze, I lost track of time and space. I felt isolated, yet completely at ease. Is Temin’s artificial park illusion or a reflection of reality? Unlike the disappointing James Bond Exhibition that I recently saw, Melbourne Now is an engaging and innovative example of art in the 21st century. It’s currently at the National Gallery of Victoria Australia (NGVA) and the NGV International (NGVI). It showcases the latest art, architecture, and design from Melbourne and the Victoria region. I will describe three exhibits that impressed me the most. Julia deVille is a vegan and taxidermist. Her works include animals – all of which have died of natural causes. 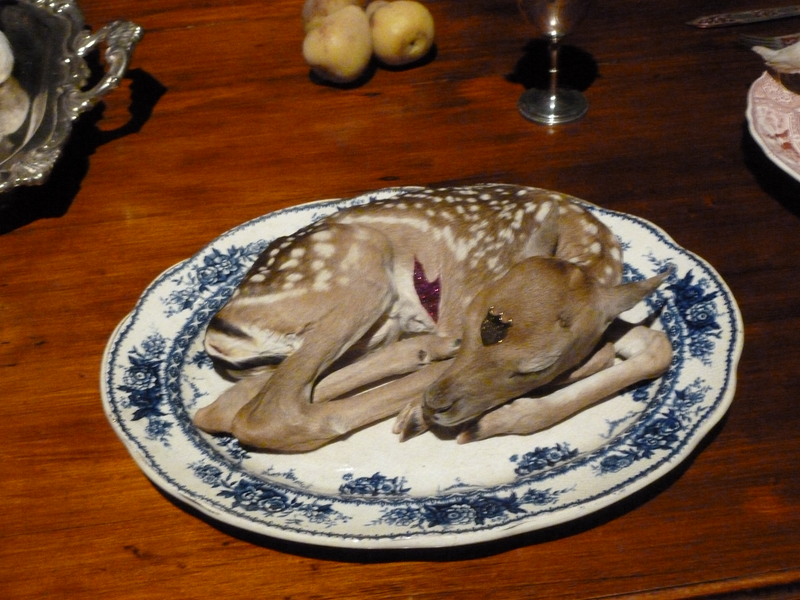 This current installation is set in a Victorian dining room and includes stuffed animals gingerly placed on period china. The exhibit raises issues of mortality and environmental sustainability in the context of animal suffering. It’s both beautiful and thought provoking … and perhaps a bit preachy. In contrast, Stelarc uses his body as art. In 2006, he began ‘growing’ a surgically constructed and Internet-enabled ear using stem cell technology. He traveled to Asia where he had the ‘ear’ implanted on his arm. (Medical and ethical issues prevented him from having the procedure done in Australia.) 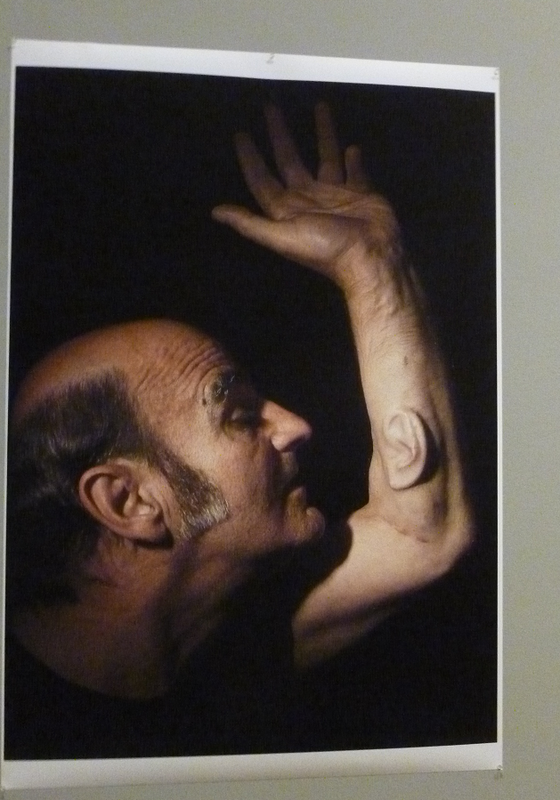 A photograph and cast of Stelarc’s Ear on Arm is on display. It sent chills down my spine. My favorite installation was from Hotham Street Ladies. They explore themes of home life, feminism, craft, and baking. Their installation is a life size living room constructed of cake and icing. The first thing you notice is the smell of cake, and then the details: rugs, paintings, shoes, cushions, electric appliances, furniture, all made of cake or icing. They have transformed the NGVA foyer into a cake wonderland. 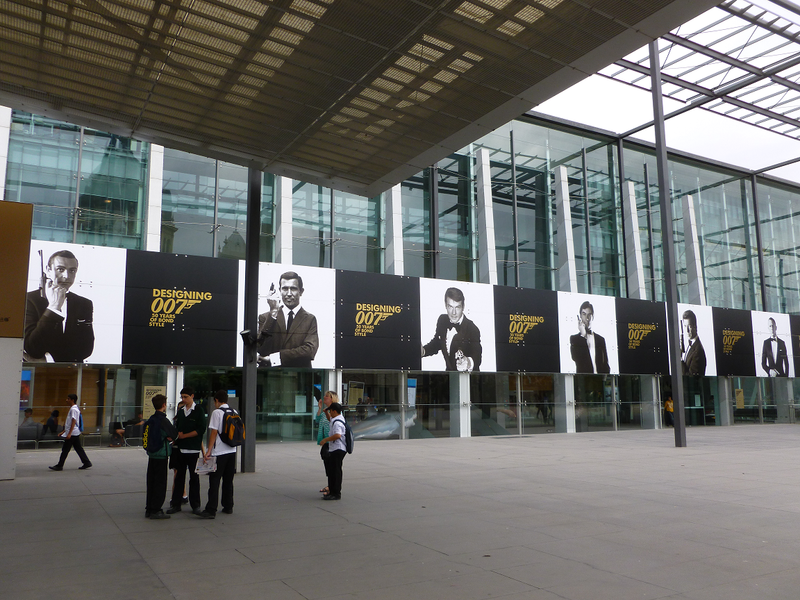 50 Years of "Bond, James Bond"
Currently, at the Melbourne Museum is Designing 007: Fifty Years of Bond Style. It traces the importance of fashion and design in the 23 official Bond movies. From Sean Connery to Daniel Craig, the Bond movie franchise has been going strong for 50 years. James Bond has meant many things to many people, and the Bond movies have influenced everything from the cut of men’s suits to sport cars. On display are dozens of original costumes, props, set designs, movie clips, and Bond paraphernalia. Unfortunately, I was disappointed with the exhibition. It’s hard to imagine, but the curators managed to make James Bond boring. This exhibition should have been called “Blah, James Blah,” and, at 24 Australian Dollars, it was overpriced. 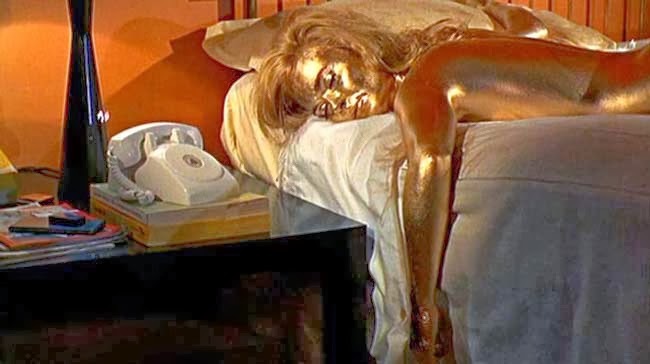 One highlight of the exhibition was a life sized replica of Jill Masterson, the actress in Goldfinger who was painted gold. Also, the exhibition did convey the impact of the Bond films on the world of fashion and even technology. Yet, it neglected to address some fairly obvious social issues, such as the sexist nature of the films themselves. 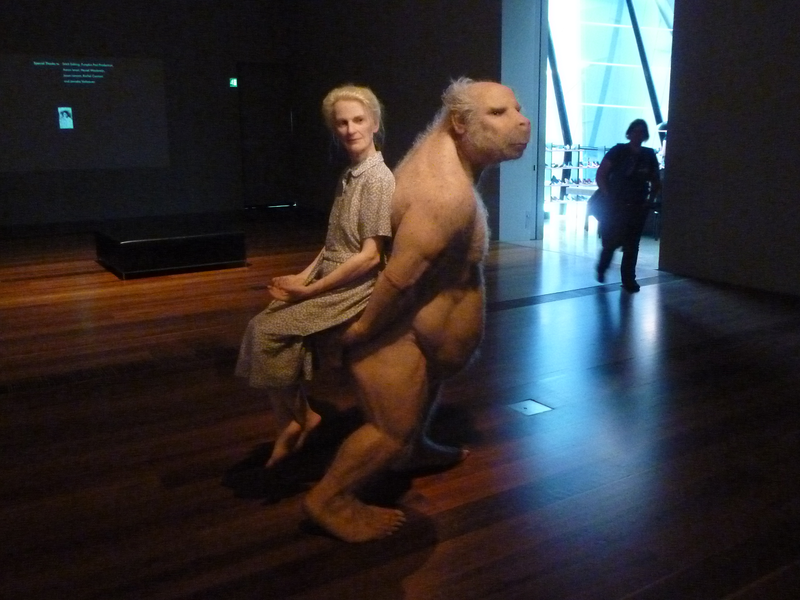 I don’t know what I was expecting, but the exhibition left me cold. Perhaps, I was hoping for the thrill and action of a real Bond film. The detritus of love gone wrong: an unworn garter belt, a love letter, a mountain of shattered glass. 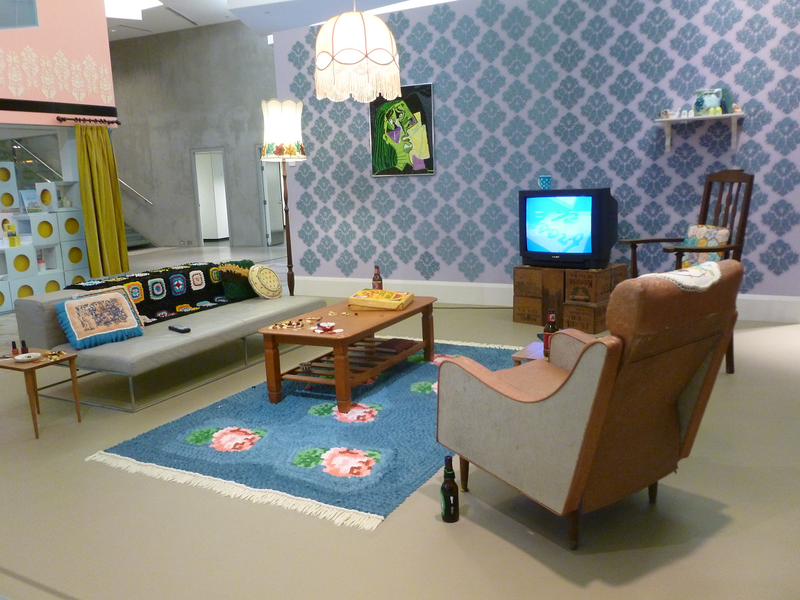 This is Zagreb’s newest museum, the Museum of Broken Relationships. Located in an 18th century palace, the setting of so many 18th and 19th century Gothic and romantic novels, the museum was an instant success when it opened in 2010. The museum contains a collection of objects donated by people who have broken up. Each item has an accompanying story. Some are amusing, others sarcastic, and a few are just heartbreaking. One room contains exhibits about casual or long-distance relationships that didn’t work out, and another is dedicated to relationships where one partner died. There’s even a rage and fury room containing items that are mostly torn and broken. For example, there’s a car mirror on display. A woman broke it off her boyfriend’s car when she saw it parked in front of another woman’s house. More extreme, hanging on a wall is an ax and next to it is a sign explaining its relevance (a jilted lover used it to chop her ex’s furniture into bits). And while the premise of the museum is ironic and even morbid, I think it reveals insight into something everyone experiences at some point in their life. Here’s more from Banksy. In this video, a group of what appears to be Islamist rebels are seen shooting down Dumbo and then shouting “Allahu Akbar,” which roughly translates as “God is Great.” It’s a spoof of recent videos showing Syrian rebels shooting down government jets and helicopters. When is graffiti vandalism and when is it art? Simple answer: it’s both. Art and vandalism aren’t mutually exclusive. But is graffiti ever acceptable? Graffiti is, by its nature, a form of painting. After all, the person creating the graffiti uses the same methods and materials as an artist working on a painting. Is a painting art? However, in the case of graffiti, the “artist” is vandalizing private property, a criminal act. Here’s an interesting article in today’s Guardian about Banksy whose graffiti is making property owners rich. His environmentally-themed works are fetching hundreds of thousands of dollars.